After 8 rounds of shooting trap with my new Browning BPS trap gun, I started having intermittent issues ejecting the spent shell casing. I was able to duplicate the issue with a variety of ammo brands. After a complete disassembly, cleaning, and inspection, I could see nothing wrong with the gun. Some online research and a conversation with my gunsmith led me to the conclusion that the chamber needed to be honed and polished to prevent the spent shells from sticking. While it’s not a common problem, ejection issues do happen in popular pump guns like my Browning BPS, the Remington 870 and the Mossberg 500. The good news is, if your ejection issue is caused by a rough chamber, it’s an easy and inexpensive fix. 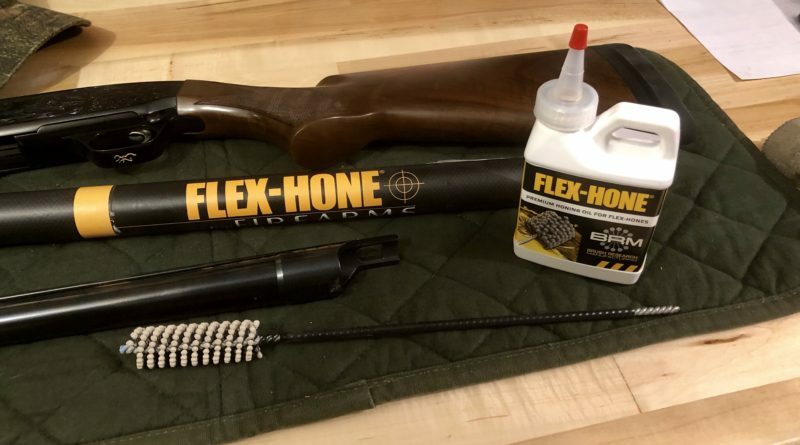 If you have shotgun ejection issues that you need to solve, read on. Once your hone is in the chamber, you can run your drill at full-speed using a short back and forth motion. You need to be careful to not allow the hone to get up into the forcing cone in your barrel. As you are rotating the hone with your drill, the fingers on the tool are gently smoothing your chamber. After I used the tool for a couple of minutes, I removed the hone, and thoroughly cleaned my barrel. Next, I took the additional step of taking a 12 gauge brass brush and wrapped it with OOOO steel wool. I screwed the brush onto a short rod, chucked in my drill and continued to polish the chamber. The end result of the honing and polishing was a bright and smooth chamber. 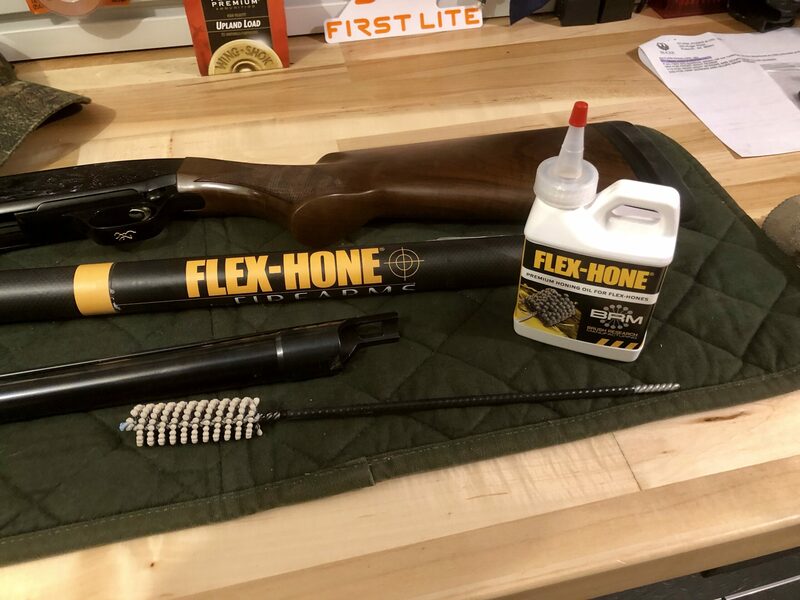 Note: when cleaning or performing maintenance on your firearm, ALWAYS make sure your gun is unloaded and follow the manufacturer’s instructions. After I completed the honing and subsequent polishing with OOOO steel wool, I reassembled my gun and returned to the trap range with a smooth cycling BPS and no further ejection issues.